Not your usual beach or scenery pics! We've just had a week on the Isle of Wight, lots of walking and geocaches to be found. 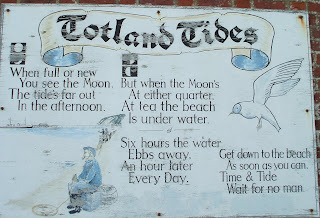 We failed to find the cache here, but found a former lifeboat house with this poem painted on the wall. I love it! I don't know if you can make out the subject of this photo. The house clearly belonged to a trainspotter who had a host of railway signs and memorabilia. 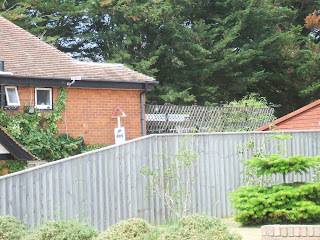 The flat roof at the back had been made to look like a station, with a Southampton (a ferry ride away) sign displayed. It amused us because it's our daughter's station! 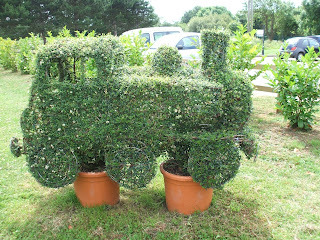 And finally - topiary discovered in a garden centre. I was longing for a small child to thrust into the driver's cabin! Nice snaps! And might I suggest a small child to shove in the hedge?